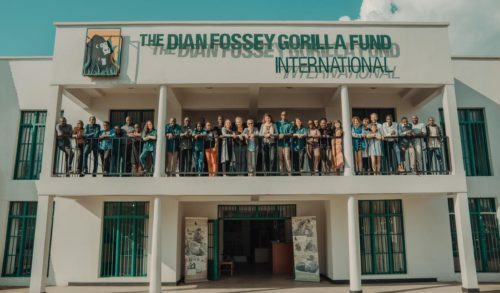 The Ellen DeGeneres Campus of the Dian Fossey Gorilla Fund will be a permanent, specially designed facility for our scientists, who are helping to save one of the world’s most at-risk species. Just 880 gorillas remain in the mist-shrouded mountains of Rwanda and the neighboring countries of Uganda and Democratic Republic of Congo. 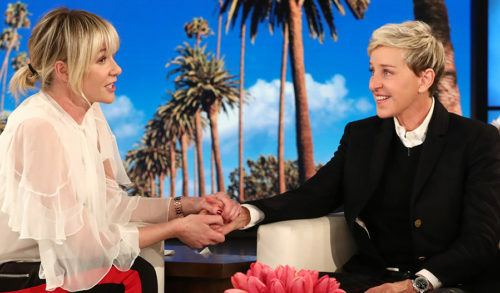 De Rossi surprised DeGeneres, whose birthday was Jan. 26, during a taping of The Ellen DeGeneres Show. 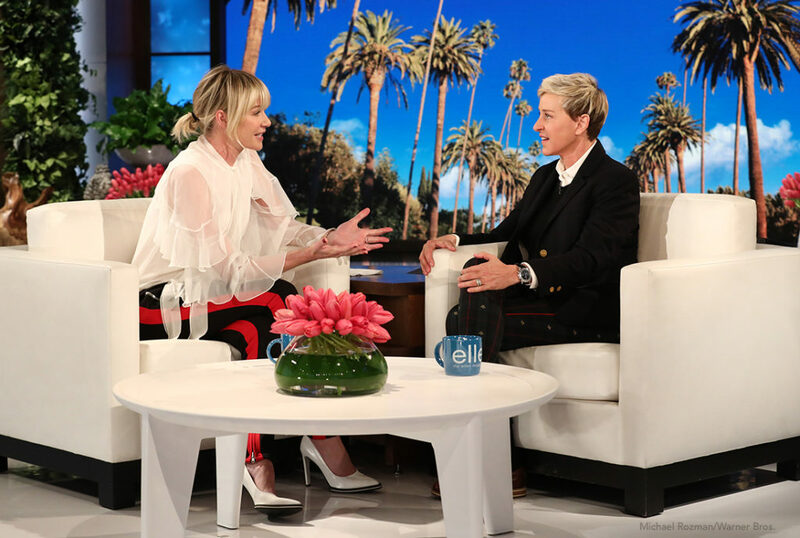 For the surprise reveal, which aired on The Ellen DeGeneres show Feb. 1, de Rossi recorded a heartfelt message over images of the Fossey Fund’s work deep in the mountains of Rwanda. “That is the best gift that anyone could have given me,” an emotional DeGeneres said through tears as the audience cheered. DeGeneres has always said the person she’d most like to interview would be Dian Fossey, according to her wife. As a girl, DeGeneres devoured every word of a January 1970 cover story on Fossey in National Geographic that detailed how she set up a research camp in the Virunga Mountains of Rwanda in 1967. Fossey, who named the camp Karisoke, immediately began studying several dozen gorillas, devoting her life to research on their behalf. 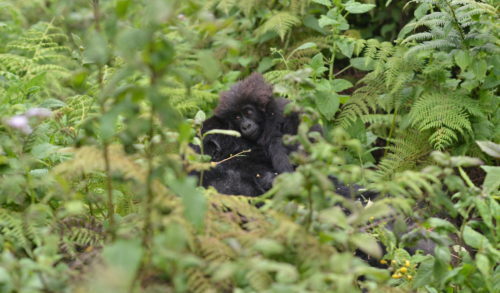 Karisoke has since become the world’s centerpiece for gorilla research and conservation, producing much of our scientific knowledge about this species. Those many years ago, Fossey stood alone in her determination to protect these animals. Today, one of the world’s most recognizable superstars stands beside her, honoring Dian’s legacy and securing the future of our work. Portia de Rossi presenting the gift to her stunned wife, Ellen DeGeneres, on “The Ellen Show. 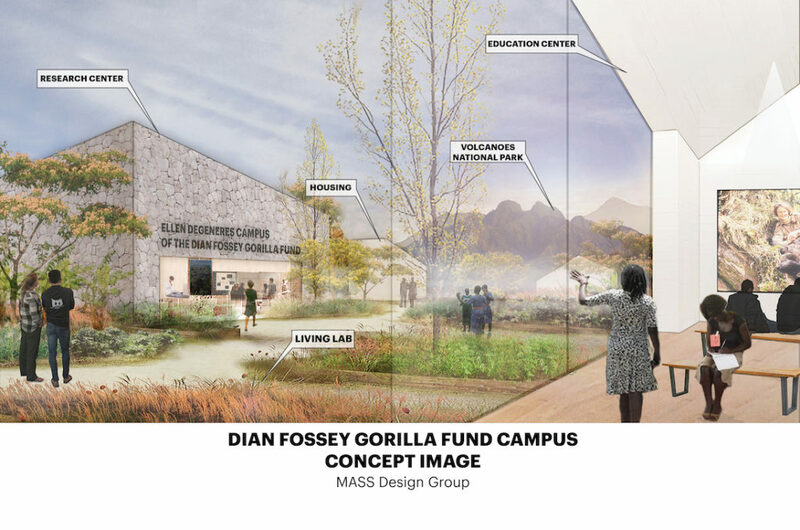 While not yet finalized, plans for the Ellen DeGeneres Campus of the Dian Fossey Gorilla Fund currently call for a multi-acre project in shadow of Fossey’s beloved Volcanoes National Park. The campus will allow us to expand science, research and conservation activities; enhance educational programs; and engage people from Rwanda and the world to join the effort on behalf of wild gorillas. 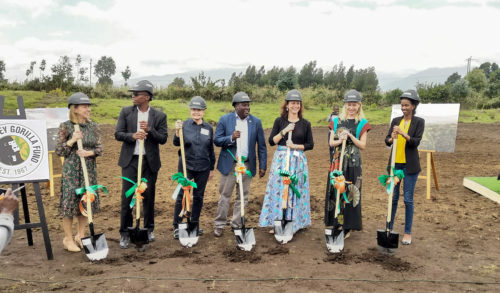 Its design will include laboratories, classrooms, meeting space, an interactive exhibit focusing on Fossey’s work, and housing for visiting researchers and students. “In her final journal, Dian wrote, ‘When you realize the value of all life, you dwell less on what is past and concentrate on the preservation of the future,’ ” Stoinski said. “Her words are so powerful to everyone working in conservation and, in particular, those of us who are privileged to carry on her legacy. 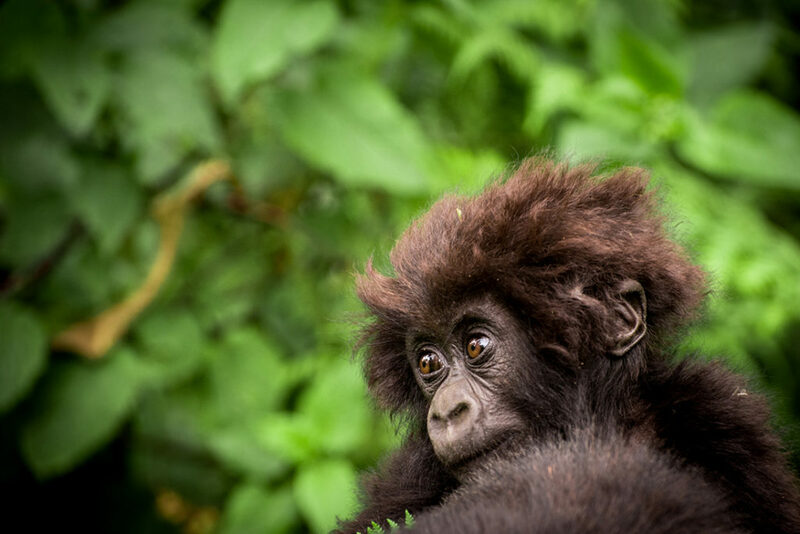 Fossey Fund leaders are currently exploring funding options for the rest of the project, which not only will build on our successful fieldwork, but also will strengthen our deep connection to Rwanda as we train the next generation of African conservationists. In Rwanda, many of the Fossey Fund’s 115 employees spend their days in the thick forest, protecting and studying gorillas. They work in partnership with the Rwandan government, which directs all conservation activities within the country, and other conservation non-governmental organizations. Our teams coordinate daily with park authorities on studies and projects related to gorilla conservation. 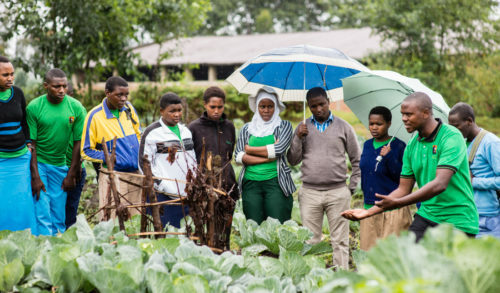 The campus will support the Rwandan government’s strategic priorities, serving as an important hub for the newly established Center for Excellence in Biodiversity Conservation and Natural Resource Management. MASS Design Group, which has offices in Boston and Kigali, Rwanda, is designing the campus using sustainable architecture, local resourcing, and environmentally responsible practices. 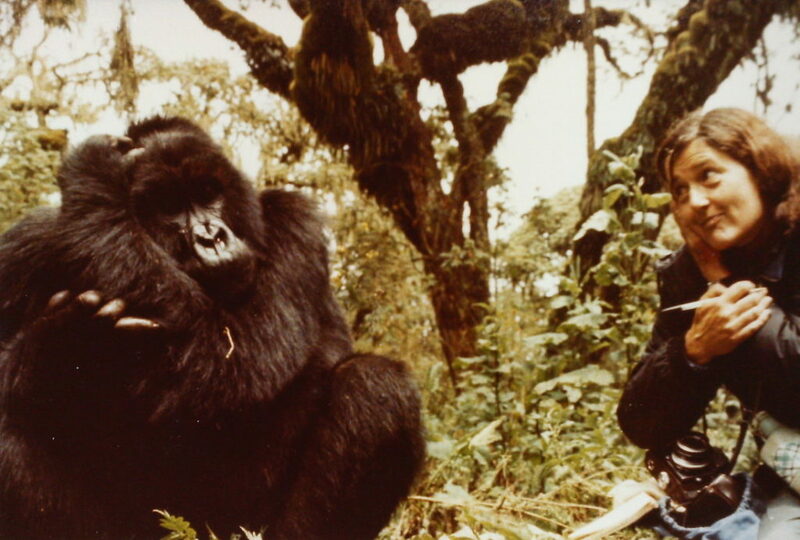 Fossey was murdered in 1985 in her mountain cabin at the camp, but her work continued through the Dian Fossey Gorilla Fund, which was established by Fossey herself to raise money to support her conservation efforts. We work with the two subspecies of eastern gorillas, the mountain gorilla in Rwanda and the Grauer’s gorilla in the neighboring Democratic Republic of Congo. We have four main pillars to ensure the survival of wild gorillas: providing daily boots-on-the-ground protection; cutting-edge scientific study on the gorillas and their ecosystems; training the next generation of African conservationists; and helping communities near the gorillas’ habitats thrive. 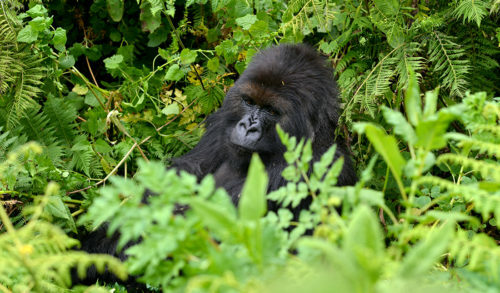 Mountain gorillas are one of the most critically endangered animals on earth. Threats to their survival include their small population size, disease, poaching, and human encroachment on their habitat. Yet there is cause for hope. Today, mountain gorillas are the only wild ape whose numbers are rising, with twice as many than when Fossey began her research. If you would like to make a donation in honor of Ellen and this great news, please click here. You can signify that your donation is in her honor or in ours as a congratulations on this special occasion!